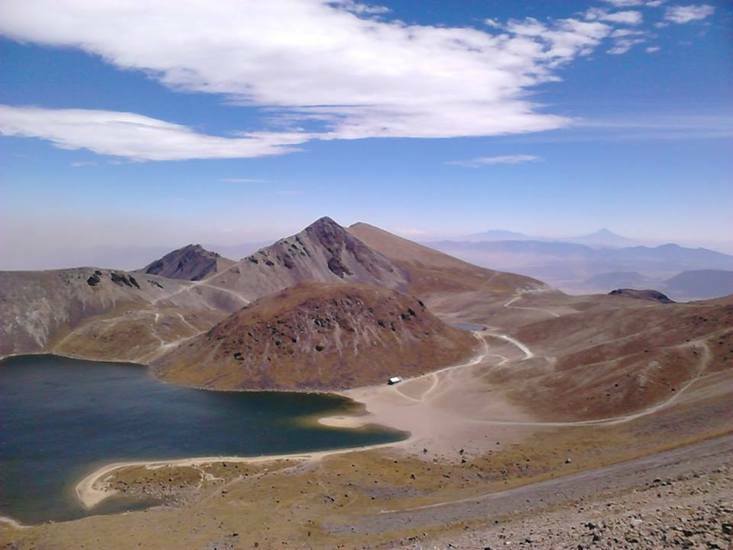 On the southern part of Toluca we can visit a beautiful volcano with lakes inside, which is the name that the inhabitants of ancient Xinancatecatl. 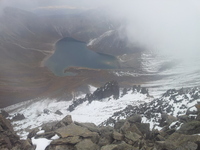 It has an altitude of 4632 metres. This is Mexico's fourth highest mountain, after the Pico de Orizaba, Popocatepetl, and Iztaccihuatl. (By some measurements, however, the Sierra Negra is slightly higher.) 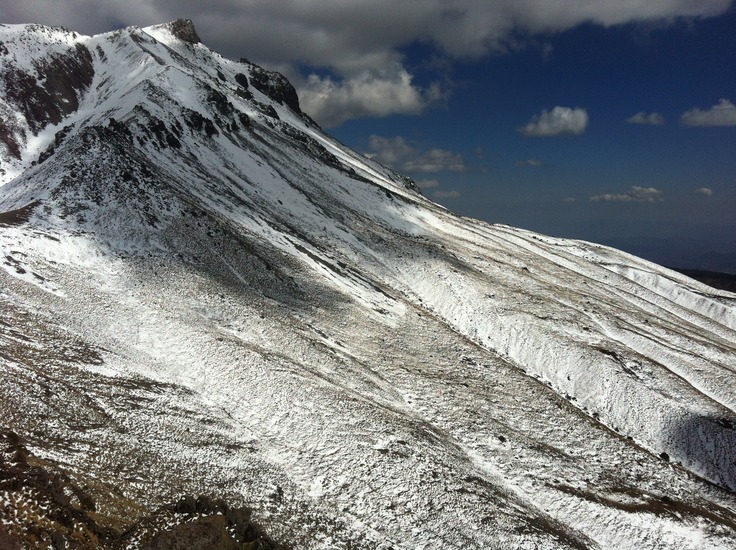 , and it is unique in that one can drive into the crater of this volcano. Nevado de Toluca has two summits, the higher Pico de Fraile (Friar's Peak) at 4680 metres. 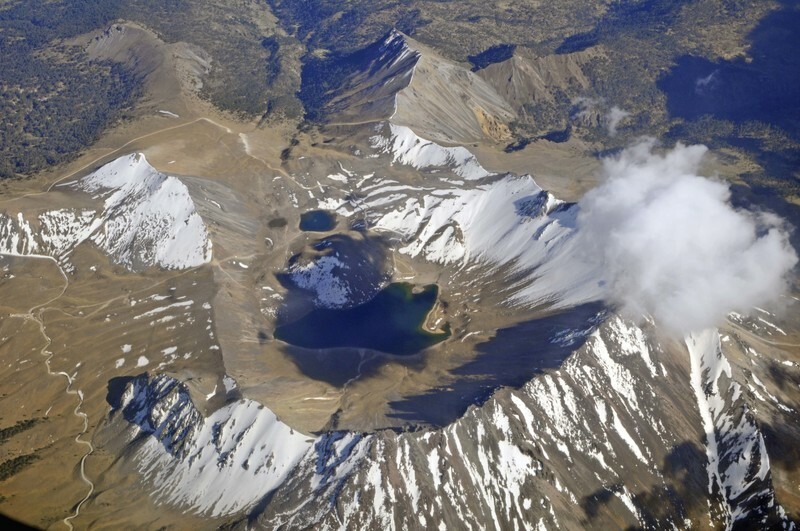 "friends at the mountain, brothers forever"
Use this relief map to navigate to mountain peaks in the area of Nevado de Toluca.